Metal Additive Manufacturing (AM) can and will disrupt multiple markets, so how does your business benefit from this incredible technology? A large factor in metal AM will be to consider a quality material supplier. The material put into the machine needs to be the material you want out of the machine. In other words, if you have poor quality input, you will have poor quality output. The right supplier will have a vast range of chemistries and sizes to suit your application requirements in the best manner possible. GKN Additive offers metal powders for AM applications including water- and gas-atomized steel powders, gas-atomized aluminum, copper, nickel and titanium powders. In addition to standard stock materials, specialty alloys developed directly with customers are beneficial for a powder supplier to offer. Keep in mind that the same component produced with AM may not require the same material used traditionally. For example, a dual-phase steel material used for automotive structural and safety components may require different chemistries based on printing parameters and processing conditions to meet the required properties as a cast product. The right supplier will have the knowledge and capability to help tune material properties with the most practical materials approach and help satisfy part property requirements. Along with diverse materials ranging from steels to aluminum and nickel alloys to titanium alloys, the ideal supplier will have the ability to combine novel alloys compatible with your current technology to eliminate concerns in assembly processes such as welding. This is where GKN Additive Materials shine. To complement GKN Additive Materials’ vast AM powder database, the research and development group is developing two material classes: high productivity steel alloy powders and high strength specialty titanium alloys. 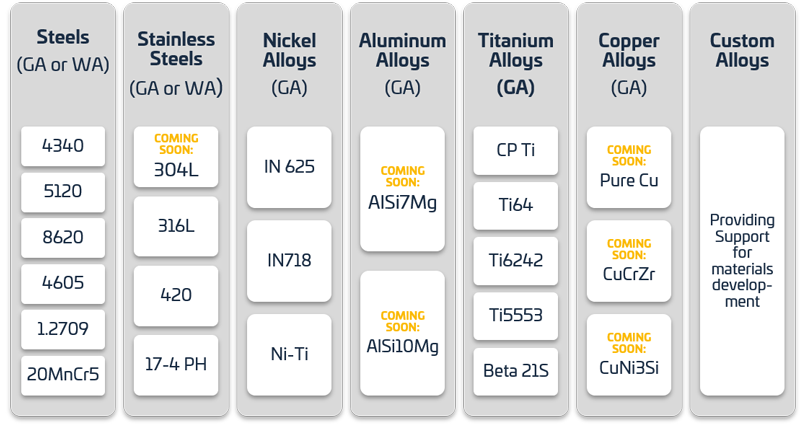 GKN Additive also provides titanium powder alloys: standard AM titanium alloys such as Ti6Al4V and pure Ti are readily available with extensive amounts of development work on high strength alloys and shape memory alloys. We will share more information and material property developments on titanium alloys and high productivity powders in follow-up blog posts. AM processes can be time consuming depending on the part size and design. Reprinting parts that failed should be avoided at all costs. One way to reduce this risk is to optimize the material for the application. Small powder quantities for research and development purposes are often required before moving into full-scale production. GKN Additive has the capability to tailor powder blends and pre-alloyed materials to fit customer needs for these types of projects. Operating as a direct supplier that produces custom powders is just one of the features that makes us capable of offering small and production-sized batches. Equipped with R&D atomizers and lab furnaces to produce gas- and water-atomized metal powders, GKN Additive develops materials through various channels to meet customer specifications. Customized powder can be produced on these scales to help develop material properties for precise applications. The powder metallurgy press and sinter industry typically use powder blends with several additives and lubricants admixed to base powder. 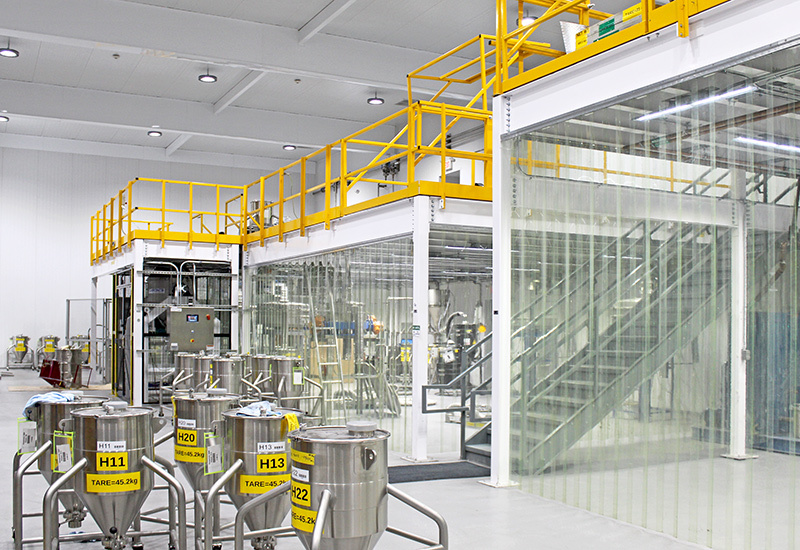 With the vast knowledge and experience of powder development techniques from GKN Hoeganaes, GKN Additive can develop similar materials for AM processes. Adopting these well-known production methods to AM materials is one way to utilize similar chemical compositions for small-batch quantities and prototyping. GKN Hoeganaes produces large volumes of these materials for the PM industry, and now GKN Additive provides these materials after being optimized for the AM industry. Powder suppliers should be able to provide information about their material to assist in your printing and testing analysis. Delivering material properties like flowability, particle size, chemistry, and sphericity should be standard for standard grades. Knowing how powder behaves during the entire production process helps support machine parameters and understanding the finished component properties. Application support should be considered especially if you’re newer to the AM field. The automotive and industrial industries are widely adopting AM techniques for prototyping and unique components that are not feasible with traditional processes. GKN Additive provides a unique perspective to these applications through the experience and knowledge from GKN Sinter Metal professionals, who are world leaders in PM components. For AM applications in the aerospace, medical and dental industries, GKN Additive provides an array of material grades and compositions with support on printing and characterization available. The last and possibly most important tip is that the right powder supplier will be available to assist in answering materials-related questions with a dedicated team of materials professionals. GKN Additive supports the AM industry with personalized customer service and technical sales along with reliable quality systems and state-of-the-art production support, all of which are located at the same site in Cinnaminson, NJ, USA. 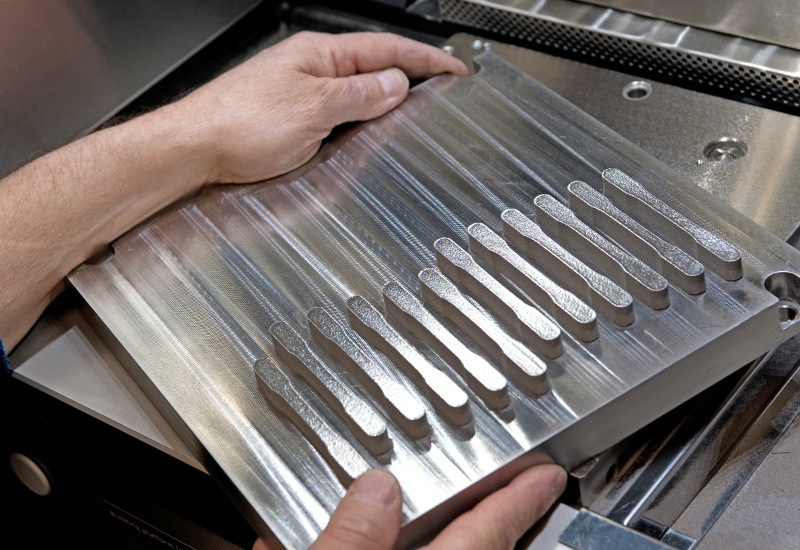 The Materials Innovation Center is equipped with several in-house metal AM machines to integrate AM material property developments from R&D to production. 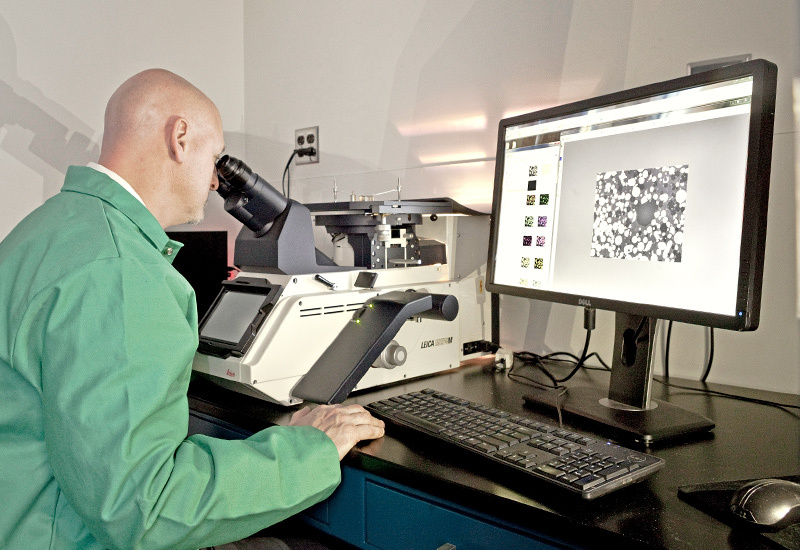 Printing studies are performed to characterize powder using physical and mechanical testing as well as metallography techniques for porosity and microstructural features. This ability gives the end-user personalized quality and performance metals to meet their specific requirements. Consider asking about sample prints to help secure AM business within your company through comparisons or testing analysis. When prototypes or production-scaled parts are required, GKN Additive can help design and produce your advanced geometries with personalized support. Following these four tips will eventually lead you to an experienced, larger company. Newer, smaller companies may lack the extensive network of professionals due to size, the associated experience and knowledge, and equipment necessary to generate optimal solutions. GKN Hoeganaes and GKN Sinter Metals have a longstanding success in the powder metal industry, and now the GKN Powder Metallurgy brand has expanded into additive manufacturing when GKN Additive was created, which offers complete comprehensive support from specialty powders and product design to full scale production. GKN Additive has the technical expertise and long-standing history of being a world leader in both metal powder from GKN Hoeganaes and metal powder components from GKN Sinter Metals. Now being a full powder-to-part solution supplier, GKN Additive is on track to become the world leader in metal additive manufacturing.